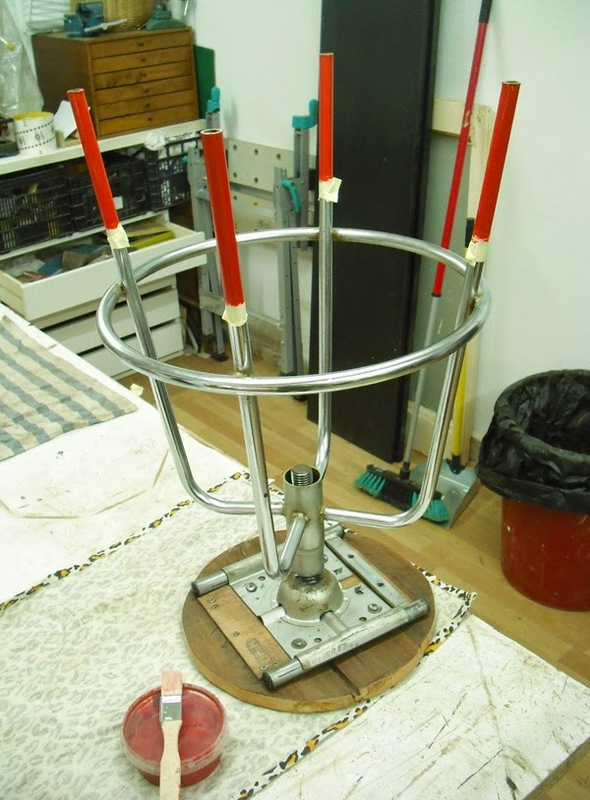 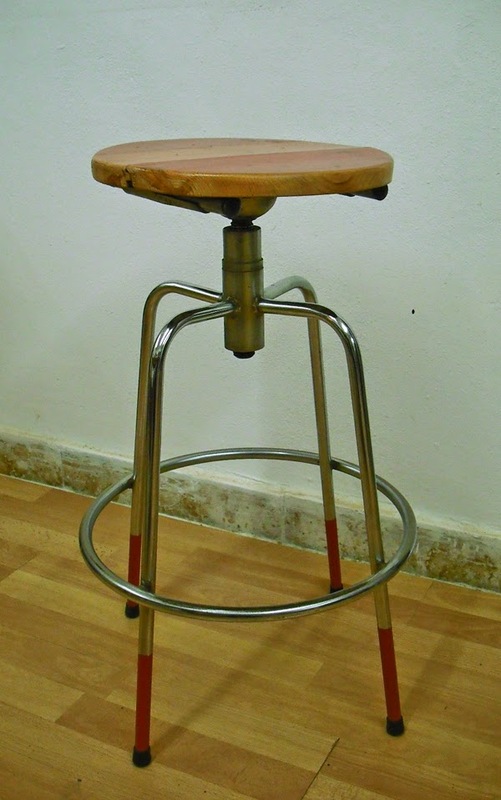 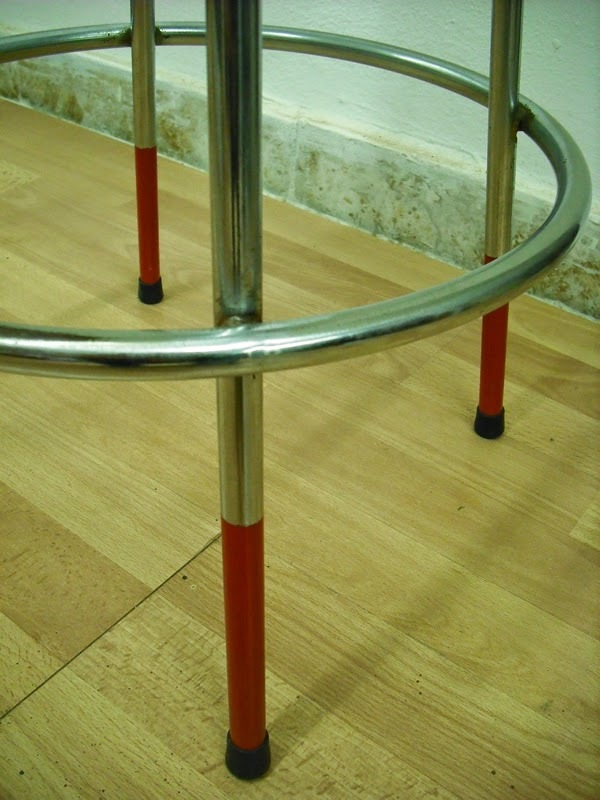 A vintage swivel stool gets renewed with a thorough polishing of the chrome plated steel legs -plus the addition of red paint in the tips, to match the new seat. 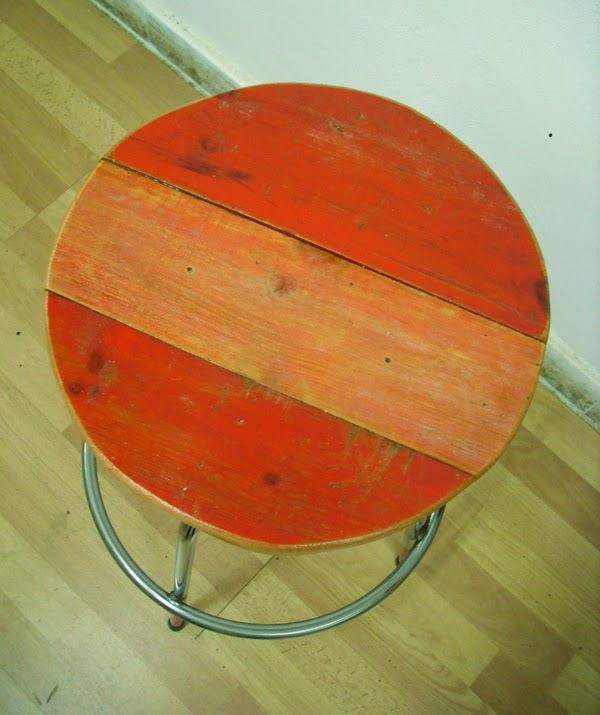 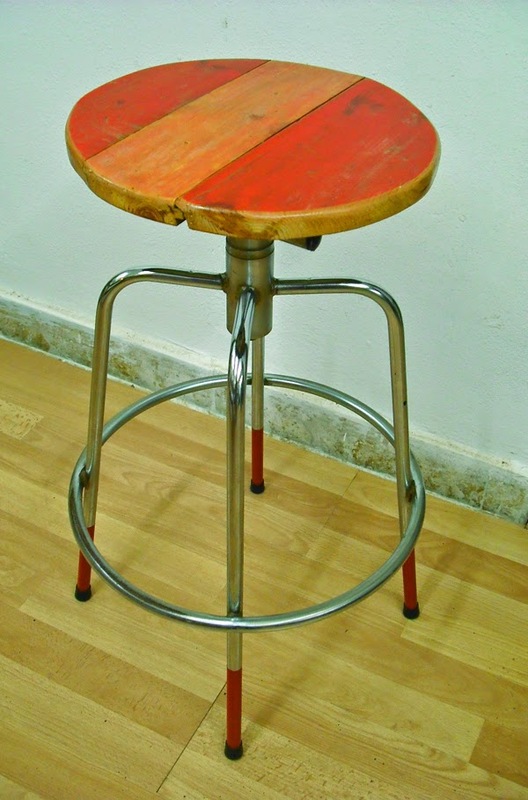 The seat is been built from reclaimed old floorboards that already had lovely distressed red paint, in different shades. 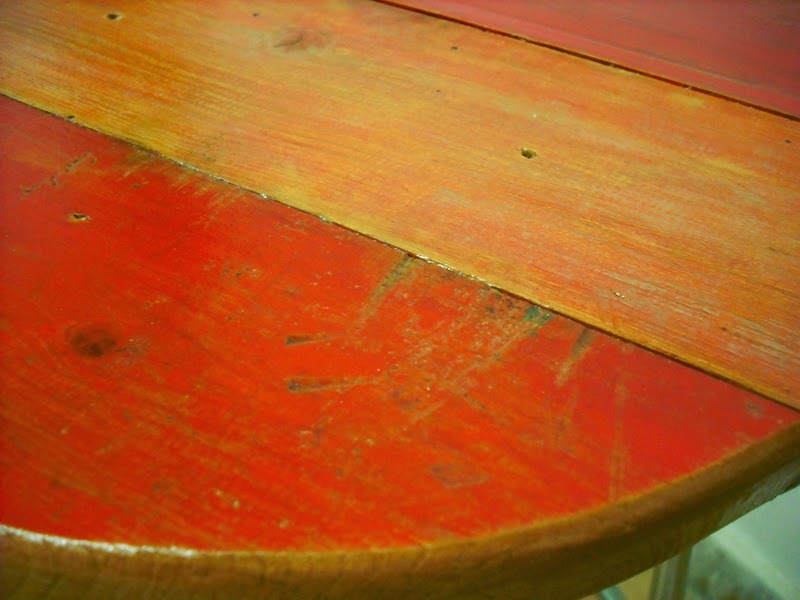 The solid pinewood has been cut, treated, rounded, varnished and finally polished to get a smooth, satin touch. 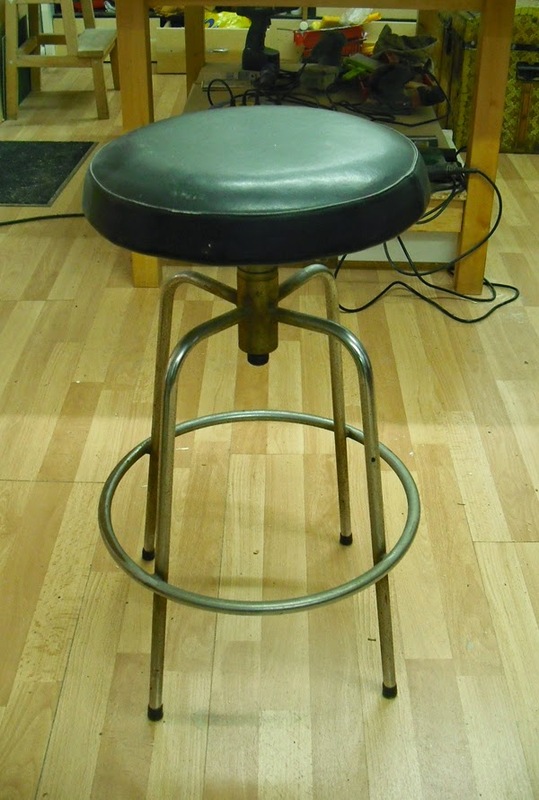 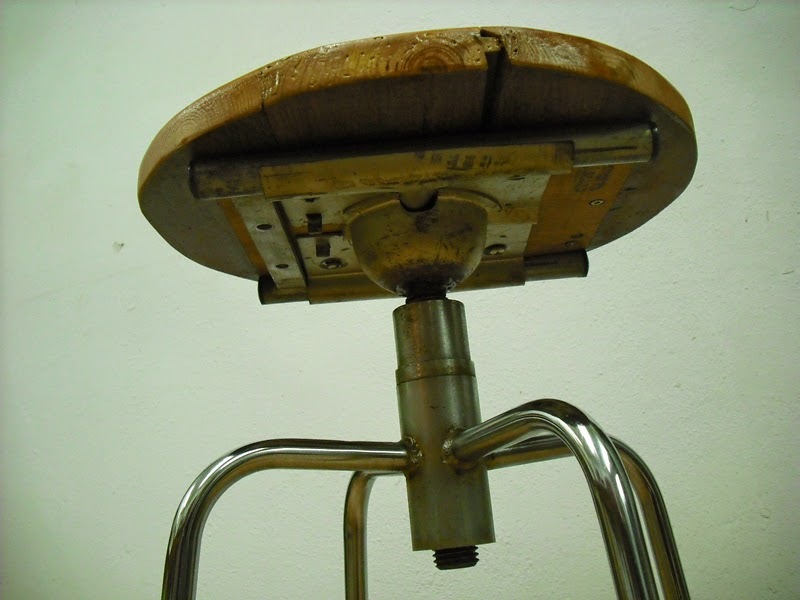 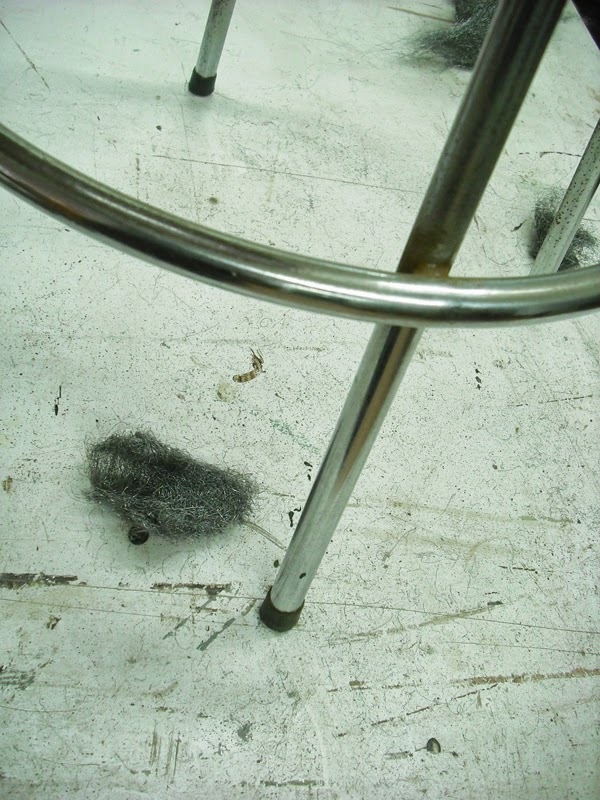 Here on the right, the stool prior its transformation.